King Street Pre-School accepts children from 2 years up to school age. We do not have a catchment area so children from all over the Cambridge are welcome. Please contact us to discuss availability and options of sessions. The fees per session are £22. The 15 hours of free childcare (Early Years Funding) can be used and we accept a variety of childcare vouchers. All children need to register for a minimum of 2 sessions per week. 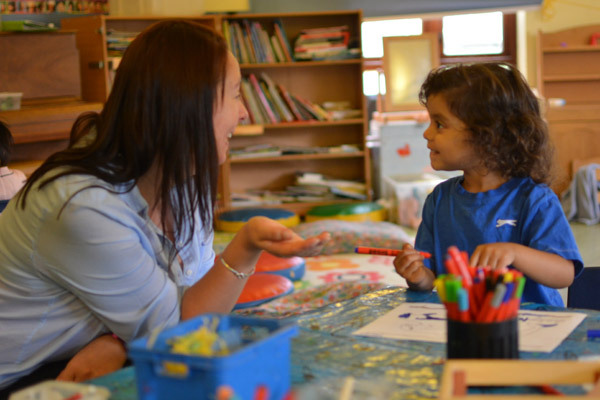 The children's learning is based on the Early Years Foundation Stage (EYFS) Framework. The manager sends a weekly email to all parents detailing the activities planned for the following week so that you can gain a clear picture of what your child will be experiencing and how you can support this learning. Our staff are qualified at NVQ Level 3 or above in Childcare as well as benefiting from a variety of other professional training including Special Educational and Equality Needs. We offer a variety of experiences for the children throughout the year such as visits to the park, the theatre, the library and also to the Jesus College Nature Trail. We have an annual school trip to either Shepreth Wildlife Park or Wimpole Hall Farm. External providers such as Leaps and Bounds (soft play) visit us at regular intervals throughout the year. King Street Pre-School has an annual Sports Day and the children perform a nativity play at Christmas before having a party and a visit from Father Christmas! We welcome suggestions for other experiences that the children will enjoy. If you have anything you wish to share with us and other prospective parents please do so. Some testimonials are excerpts from correspondence received from parents and identification has been removed. All comments and feedback are greatly appreciated. Thank you for all your help and continued support.